Anonymous | I was reminded that all great men get great criticism. Learn to accept and expect the unjust criticisms for your great goals and accomplishments. Even Jesus was repeatedly criticized. 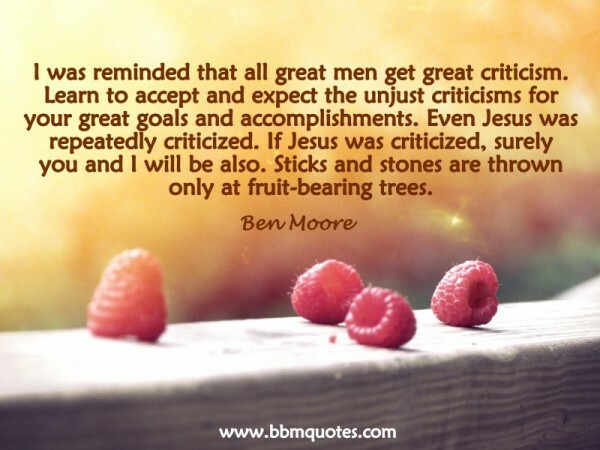 If Jesus was criticized, surely you and I will be also. Sticks and stones are thrown only at fruit-bearing trees.